In our Ironmongery section we have all the hardware and fittings you will need for your garage doors, garden gates, field gates, sheds and outbuildings. 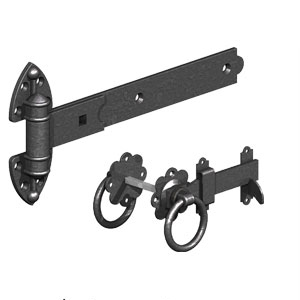 Huge choice of gate and shed hinges such as tee hinges, heavy reversible hinges and strap hinges. Tower bolts and pad bolts for sheds, gates and garage doors. With over 15 years online e-Hardware are one of the leading Architectural Ironmongers in the UK. 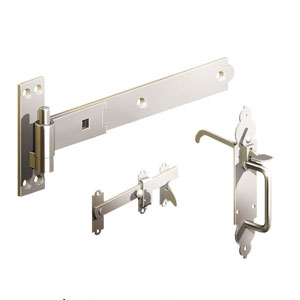 Here at e-Hardware we can supply Ironmongery direct to your door with over 10,000 quality products available for express next day delivery, e-Hardware are one of the leading Online Architectural Ironmongers in the UK, trading online for over 15 years. In our extensive ironmongery category we offer a huge choice of gate hinges, garage door bolts, gate latches, hasp & staples, tee hinges and heavy gate and garage door hinges to suit a wide variety of diy and commercial projects. With Free Delivery on orders over £45 and our 30 day no quibble returns policy you can browse at your own convenience and buy with complete confidence. In our ironmongery category you will also find the Gatemate range, this is a range of Superior pre-packed gate furniture complete with all fixings. Gatemate also do Premium Black Ironmongery which has superior corrosion resistance with Black powder coating on top of hot dip galvanising. 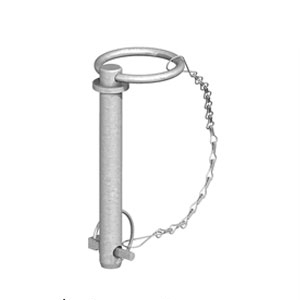 For your convenience we also offer Gate Fixing Packs which take the trouble out of choosing the correct products to hang your garden gates. Also, for all you horsey people out there we have just recently launched the Perry Equestrian Range which is a collection of pre-vamped traditional ironmongery in bright vibrant colours ideal for stables or tack rooms.